Clean CARFAX. Features Include: SH-AWD Recent Arrival! 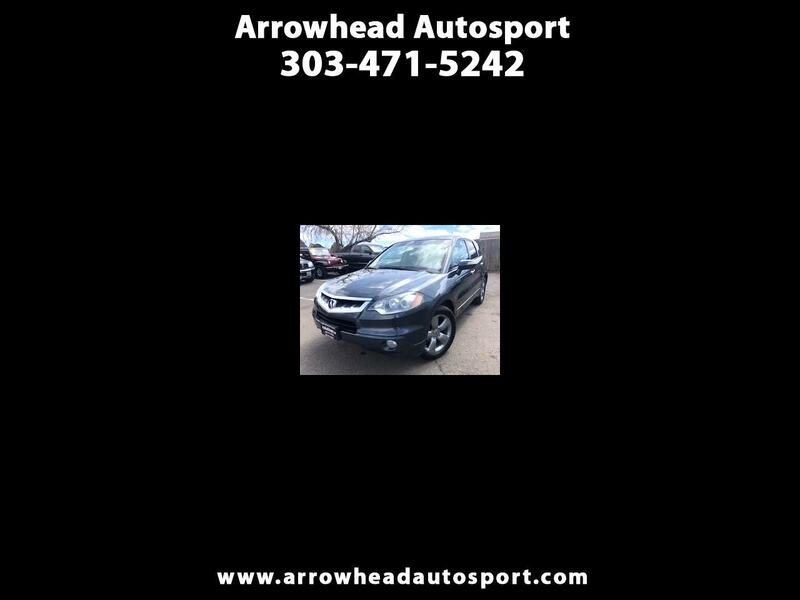 Come see our specials at www.arrowheadautosport.com Call us today at 303-471-5242! We have a 5 of 5 Rating on Dealer Rater!!! We have 4.7 Rating on Car Gurus!! You know to get scores like that We Put You First At Arrowhead Autosport!!! Reviews: * Delivering a convincing combination of performance and functionality - topped off by a premium badge and numerous features - there isn't much not to like about the Acura RDX. Source: KBB.com Awards: * 2007 KBB.com Best Resale Value Awards For more information, visit www.kbb.com. Kelley Blue Book is a registered trademark of Kelley Blue Book Co., Inc.